2 million points in 6 minutes. Generates orthophotography automatically using multiple images. 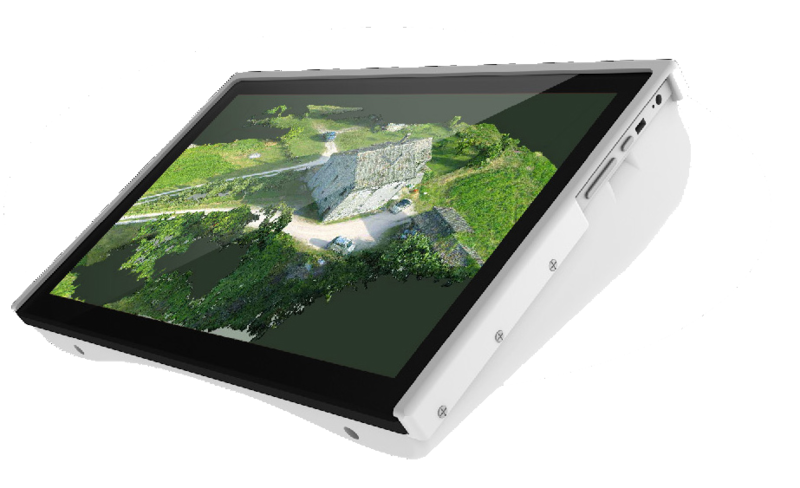 EyesMap, is a real time measuring device and 3D model scanner integrated in a tablet which enables us to calculate coordinates, areas and surfaces of all types of objects and environments. 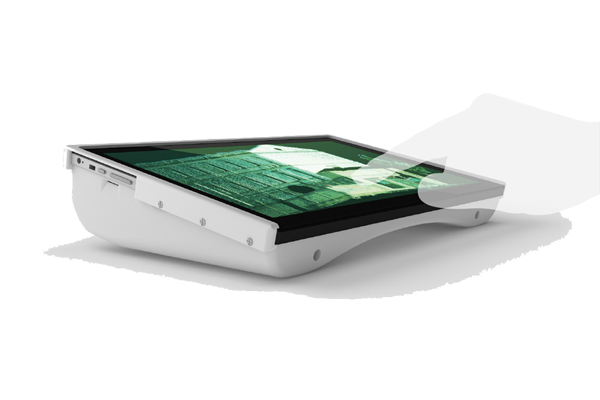 The EyesMap is equipped with a 4th generation Intel Core i7 and 8 GB RAM. It has 2 13 pixel Sony rear cameras and a depth sensor, an inertial and GPS system and many other devices. This system allows us to calculate coordinates, surfaces and volumes of all types of objects of between 70 and 80 metres. Furthermore, this device can obtain point clouds using analyzed photogrammetry techniques of up to 6 million points in less than 2 minutes. 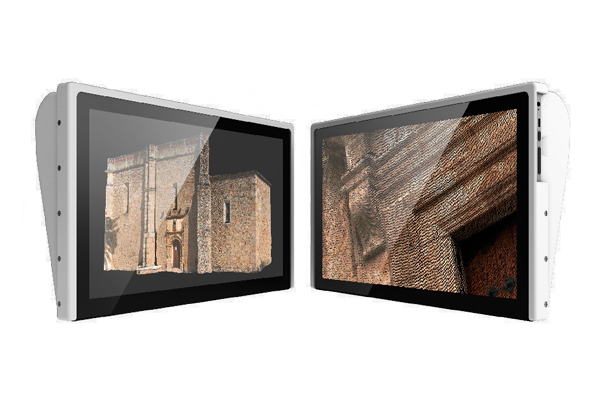 These scanned coloured photos allow us to create 3D models of all types and sizes of objects. As this device is capable of measuring small, large objects in motion etc. its possibilities are enormous as it is also valid for use in archeology, mapping, civil and biological engineering and many more areas.